Quick edit: I have been informed via email that my use of the term ‘plagiarism’ to describe this particular event is incorrect. Rather, the correct term for what happened is copyright infringement. I apologize for any confusion this may have caused. On Tuesday, I wrote a little bit of an introduction to the issue of plagiarism on the internet, giving a couple of examples that, at the end of the day don’t affect me an iota. In that post, I mentioned that I would be talking about a situation that does affect me and that’s today’s post. That post involves my Ultimate Diet 2.0 (written and published in 2003) and the new book by Alwyn Cosgrove and Mike Rousseau Warp Speed Fat Loss released earlier this year. In the context of this issue, I’d only mention that Alwyn was one of the people who tested out my original Stubborn Fat Protocol (now titled the SFP 1.0 in the my new book The Stubborn Fat Solution). Imagine my surprise when I saw the original protocol repeated verbatim in New Rules of Lifting completely uncredited. Now, I’m willing to give the benefit of the doubt here, I imagine the guys publishing the book didn’t really want my name put in the book so Alwyn may not have had anything to do with that. So I let that slide. Hence, I wasn’t particularly stunned to see that same protocol repeated (uncredited yet again), in Warp Speed Fat Loss. So it goes. 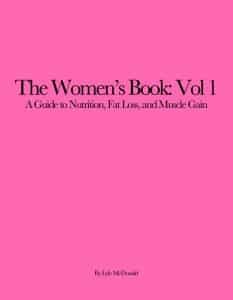 However, consider my surprise when, upon reading the chapter detailing how fat is burned, I noticed quite a few similarities to my own original text from my Ultimate Diet 2.0. Yes, some bits were simplified or changed a touch but there were too many places where the text is identical (including one hysterical place where my same bolded emphasis was included. You’ll see it below). Alwyn appears to have sat there with the e-book of my UD2 and just copy and pasted my text into his book. And, fine, I’m quite sure you can argue (and by argue I mean rationalize) that this information can only be presented in so many ways, anybody detailing the steps of fat burning would probably write something similar. I don’t disagree. But it’s pretty clear that this is pretty much a copy and paste job. That’s copyright infringement. That’s theft. Plain and simple. And now it’s time to show the world exactly what he did. I’m sure the Cosgrove apologists will find excuses for why Al thought he could rip me off (and not get caught) but hopefully some people will see him for what he is. In any case, below I’ve laid out my original text from the chapter on fat loss from my Ultimate Diet 2.0 versus Alwyn’s chapter on burning fat from Warp Speed Fat Loss exactly as they appear in the respective books. I haven’t changed the order or flow in any way. My text appears first, Alwyn’s appears second indented for ease of reading. First, let me elaborate on what it means to lose or “burn” body fat. What this means is that the fat stored in your fat cells is removed from those cells and converted to energy elsewhere in the body. Most tissues in the body (there are a few exceptions such as the brain) can use fatty acids for fuel, but the main ones we are interested in are skeletal muscle and the liver. What do we actually mean when we talk about “burning” bodyfat? We mean that the fat stored in the fat cells is removed and “burned” as energy. Most tissues in the body can use fat for fuel, but the main one for our purposes is muscle tissue. Recall from last chapter that body fat is primarily stored triglyceride, with a small amount of water and some enzymatic and cellular machinery. Mobilizing body fat requires that we first break down the stored triglyceride into three fatty acids and a molecule of glycerol. The rate limiting step in this process is an enzyme called hormone sensitive lipase (HSL). Bodyfat is essentially stored triglyceride, with a small amount of water. Mobilizing bodyfat requires that we first break down the triglyceride into free fatty acids. The limiting step (i.e. the one thing that can hold us back) in this process is an enzyme called hormone sensitive lipase (HSL). Although a number of hormones such as testosterone, cortisol, estrogen, and growth hormone have modulating effects on HSL activity (mainly increasing or decreasing total levels of HSL in the fat cell), the only hormones that we need to be concerned with in terms of HSL activity are insulin and the catecholamines. Although a number of hormones effect HSL, the only hormones that we need to be concerned with in terms of HSL activity are insulin and the catecholamines. The primary inactivator of HSL is the hormone insulin and it only takes very tiny amounts (depending on insulin sensitivity) to have an effect. Even fasting insulin levels are sufficient to inactivate HSL by nearly 50%. Small increases in insulin (from either protein or carbohydrate intake) inactivate HSL further. Insulin is the main inactivator of HSL and it only takes very small amounts to have a detrimental effect. Fasting insulin levels are sufficient to reduce HSL activity by nearly 50%. Small increases in insulin (from food intake) also inactivate HSL. Additionally, the mere presence of triglycerides in the bloodstream (via infusion or by just eating dietary fat by itself) also inhibits HSL activity so this isn’t as simple as just blaming insulin. One way or another, any time you eat, HSL is going to be inactivated, either by the increase in insulin from protein or carbs or the presence of fat in the bloodstream from eating fat. Additionally, the mere presence of fat in the blood inhibits HSL activity. Basically any time you eat, HSL activity is reduced. The primary hormones which activate HSL are the catecholamines: adrenaline and noradrenaline. Adrenaline is released from the adrenal cortex, traveling through the bloodstream to affect numerous tissues in the body. This means that blood flow to fat cells has an impact on how much or how little adrenaline will reach fat cells. much adrenaline will reach fat cells. All hormones work through specific receptors and the catecholamines are no different, they have their own specific receptors called adrenoreceptors. The catecholamines have their own specific receptors called adrenoreceptors. There are two major classes of adrenoreceptors: beta and alpha, which are found all over the body. There are two major adrenoreceptors: beta and alpha, which are found all over the body. The main receptors we need to worry about in human fat cells are alpha-2 receptors and beta-1 and beta-2 receptors, both of which actively bind the catecholamine hormones. The main receptors in fat cells are alpha-2 receptors and beta-1,2 receptors, both of which actively bind the catecholamines. When catecholamines bind to beta-1,2 receptors, they increase cAMP levels, which increases fat breakdown. Great. However, when the catecholamines bind alpha-2 receptors, they decrease cAMP levels which decreases fat breakdown. Not great. But it means that catecholamines, which I told you were fat mobilizers, can actually send both fat mobilizing and anti-fat mobilizing signals: by binding to either alpha- or beta-receptors. When catecholamines bind to beta receptors, they increase fat breakdown. However, when they bind to alpha receptors, fat breakdown decreases. Therefore, depending on receptor binding, catecholamines can actually increase or decrease fat mobilization. So why does this matter? Different areas of body fat have different distributions of alpha-2 and beta-1,2 adrenoreceptors. For example, women’s lower body fat (hips and thighs) have been found to have 9 times as many alpha-2 receptors as beta-1,2 receptors. Now you know part of why its so difficult to reduce these stubborn fat areas; with a greater number of alpha-2 receptors to bind catecholamines, it’s that much more difficult to stimulate fat breakdown in those fat cells. I should note that insulin pretty much always wins the battle over fat cell metabolism. That is, even in the face of high catecholamine levels, if insulin is elevated, fat mobilization will be impaired. It’s important to realize that insulin pretty much always wins the battle over fat cell metabolism. Regardless of catecholamine levels, if insulin is elevated, fat mobilization will be impaired. The real take home message is that, from a fat mobilization standpoint, we want low insulin and high catecholamine levels. Both can be readily accomplished by altering diet (lowering carbohydrates and calories) and exercise (which increases catecholamines). The real world message is that, from a fat mobilization standpoint, we want low insulin and high catecholamine levels. Both can be easily achieved by altering diet (lowering carbohydrates) and exercise (which increases catecholamines). So imagine a situation where insulin is low and the catecholamines are high, causing stored triglyceride to be broken down (the technical word is hydrolyzed) to glycerol and free fatty acids (FFAs). So now we have albumin-bound FFAs sitting in the circulation surrounding the fat cell Since the FFA can’t be burned there, it has to be transported away from the fat cell; this depends on blood flow to and from the fat cell. So we break down the stored bodyfat into free fatty acids (FFAs) which enter the bloodstream. Since the FFA can’t be burned in the bloodstream, it has to be transported away from the fat cell; this depends on blood flow to and from the fat cell. As with insulin sensitivity and adrenoreceptor ratios, fat depots differ in terms of blood flow. Visceral fat, for example, has an extremely high blood flow relative to other fat depots. Visceral fat is mobilized fairly easily and, because of this, it generally goes away the fastest (especially with exercise). Fat deposits also differ in terms of blood flow. Visceral fat (the fat the sits around your internal organs), for example, has an extremely high blood flow and is therefore mobilized fairly easily and generally is reduced fastest (especially with exercise). Relative to visceral fat, abdominal (and probably low-back) fat has less blood flow, is less sensitive to the fat mobilizing effects of the catecholamines, and more sensitive to insulin. This makes it more stubborn than visceral fat. Abdominal fat has less blood flow, is less sensitive to the catecholamines, and more sensitive to insulin. This makes it more stubborn than visceral fat. So now we have yet another reason that stubborn fat is stubborn: poor blood flow which makes transporting the mobilized fatty acids away more difficult. Actually, it isn’t entirely true that blood flow to stubborn fat cells is always slow. In response to a meal, blood flow to stubborn fat increases readily; at all other times, blood flow to stubborn fat is slow. Blood flow to stubborn fat cells, however is not always slow. In response to a meal, blood flow to stubborn fat increases readily; at all other times, blood flow to stubborn fat is slow. Basically, it’s easier to store calories in stubborn fat than to get it back out. Studies show that women tend to have preferential increases in blood flow to their hips and thighs after a meal; the old wives’ tale about fatty foods going straight to the hips turns out to be true after all. Studies show that women tend to have increases in blood flow to their hips and thighs after a meal; the old saying “a moment on the lips, a lifetime on the hips” appears to be true after all! But the point is made, poor blood flow to stubborn fat cells is yet another reason dieting to sub-average body fat levels is difficult. So how might we improve blood flow to and from fat cells? Blood flow to fat cells improves during fasting and, although we can’t fast completely (too much muscle loss), we can mimic the condition with a low-carbohydrate/ketogenic diet. This fits in with our goal of lowering insulin in the first place and turns out to have an extra advantage that I’ll discuss in a later chapter. So poor blood flow to stubborn fat is yet another reason getting lean can be difficult. How do we improve this? Blood flow to fat cells improves during fasting and, although we obviously can’t fast all the time, we can create a similar condition with a reduced carbohydrate diet, tying in with our goal of lowering insulin. Eventually, the albumin-bound FFA will run into a tissue (such as the liver or muscle) which can use it for fuel. Eventually, the FFA will run into a tissue (e.g. muscle) which can use it for fuel. To be used for energy, the FFA has to be transported into the mitochondria by an enzyme called carnitine palmityl transferase (CPT). To be used, the FFA has to be transported into the mitochondria by carnitine. CPT activity is controlled by a few different factors, including your aerobic capacity (the more aerobically fit you are, the more fat you burn), as well as glycogen levels. Carnitine activity is controlled by a few different factors, including your glycogen levels. When glycogen is high, CPT activity is low and fat burning is low, and vice versa. This is true for both muscle and liver. By depleting muscle and liver glycogen, we can increase CPT activity, allowing us to burn off the fatty acids at a faster rate. When glycogen is high, carnitine activity is low and fat burningis low, and vice versa. By depleting muscle glycogen, we can increase carnitine activity, allowing us to burn off the fat at a faster rate. This is readily accomplished with the combination of lowered carbohydrates and intensive training which fits in with our other goals rather nicely anyhow. As you can see – we can ramp up fat metabolism very effectively with the combination of lowered carbohydrates and intensive exercise. Why is Stubborn Fat Stubborn?